Hidden labels in MacVector 11.1? We made a whole slew of graphical enhancements to MacVector 11.1. Most of these were intended to increase the performance for viewing the graphical map of very large sequences. One of these hides the labels of features when you are showing a heavily annotated sequence. However, in hindsight we set the default value for this to be too low! We’ll change this for the next release but if this annoys you, then change the default to be 1000 instead. 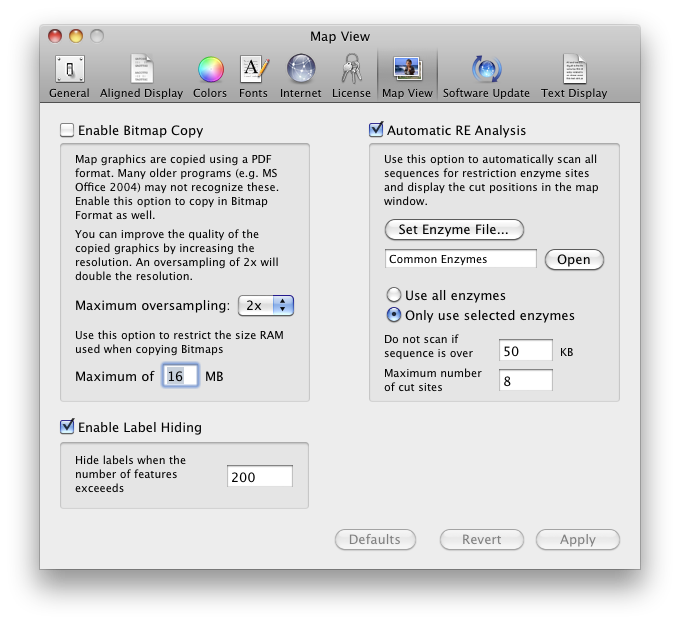 To do so go to the MacVector Preferences and change the value in the Map View preference pane. This entry was posted in General, Releases and tagged map view. Bookmark the permalink. Both comments and trackbacks are currently closed.